‘He took Everest by foot; the world by storm; the South Pole by Massey Ferguson’, proclaimed banners advertising a 2002–03 museum exhibition on the life of Sir Edmund Hillary (1919–2008). The legendary mountaineer, adventurer and philanthropist – whose familiar, craggy face beams out from the $5 note – is the best-known New Zealander ever to have lived. His 1953 ascent of Mt Everest, the planet’s highest peak, with Sherpa Tenzing Norgay brought him worldwide fame – literally overnight. Dozens of daring adventures followed, including the Commonwealth Trans-Antarctic Expedition of 1957–58 and a 1977 jet-boat journey up the Ganges River. International lecture tours, books and television documentaries cemented Hillary’s status as a global celebrity. Of greater significance, perhaps, was his humanitarian contribution to the Sherpa people of the Himalayas. For decades from the 1960s Hillary and supporters raised funds and built schools, hospitals and other facilities in the mountains. He also enjoyed a successful spell as New Zealand’s High Commissioner to India in the 1980s. Despite his remarkable achievements, and moments of personal tragedy, Ed Hillary is also remembered for his humility and generosity. The quiet Auckland bee-keeper who had stood on ‘the roof of the world’, as well as the North and South poles, seemed to be the quintessential down-to-earth Kiwi. 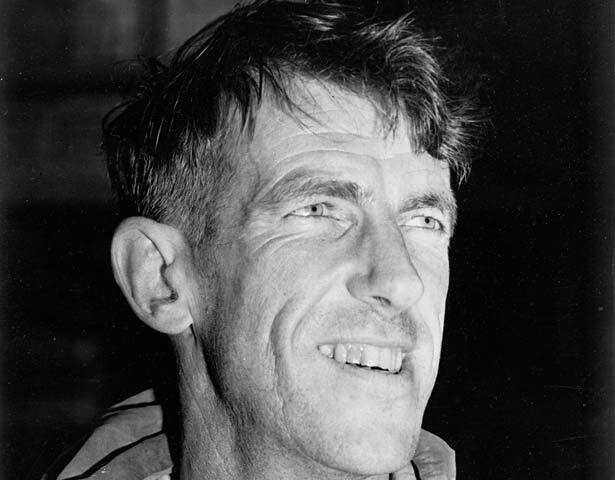 Sir Edmund Hillary died in Auckland on 11 January 2008, aged 88. He was farewelled at a state funeral – a rare honour for a private citizen – on 22 January. On 29 February, in accordance with his wishes, his ashes were scattered on the Hauraki Gulf by his wife, Lady Hillary, and children Peter and Sarah. On 2 April Queen Elizabeth II hosted a special memorial service for Hillary at Windsor Castle, near London. We have 1 biography, 3 articles, related to Edmund Hillary.